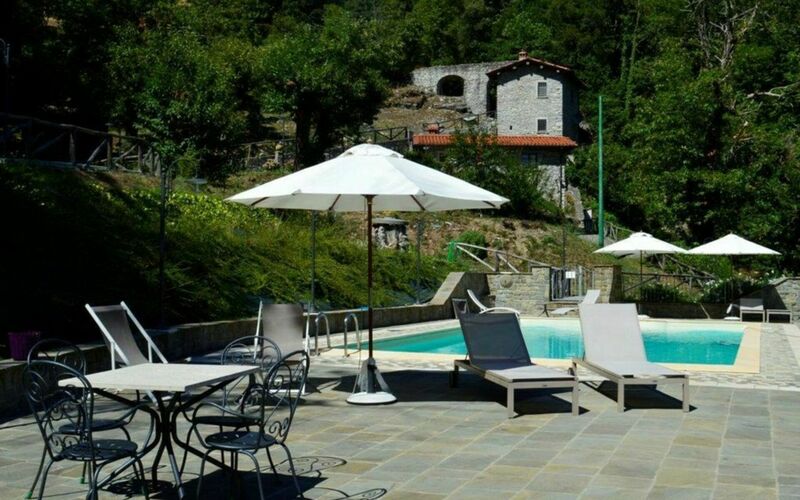 This beautiful site of 3 converted traditional stone mill buildings is ideal for groups consisting of couples or families seeking to holiday together but with some privacy between them too! There is 'Mulino Grande' which has 4 bedrooms, 3 bathrooms, 2 kitchens, dining area, and living room . 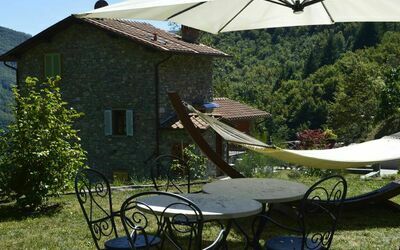 There is a large private garden complete with al fresco dining facilities for all, BBQ and hammock. 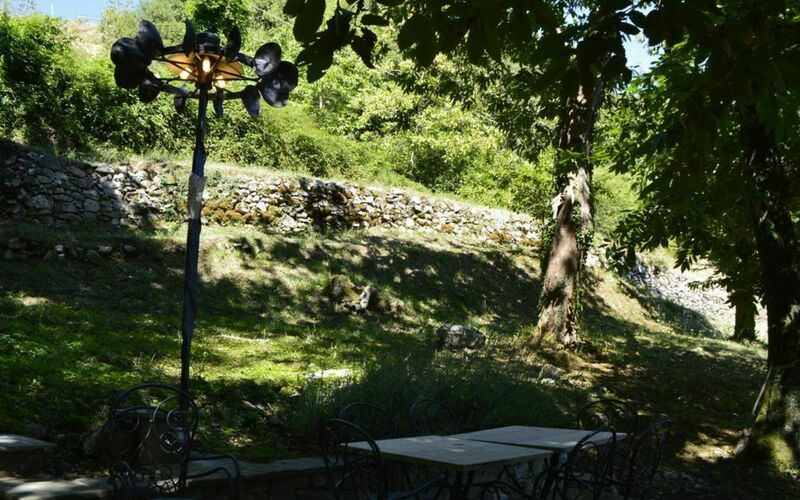 Then, on the same site but on the other side of the gardens are 'Piccolo Mulino' and 'Bambini'. 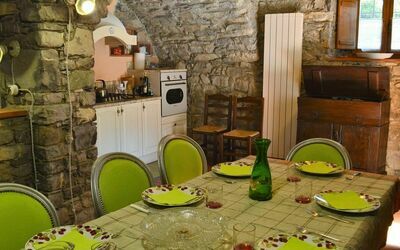 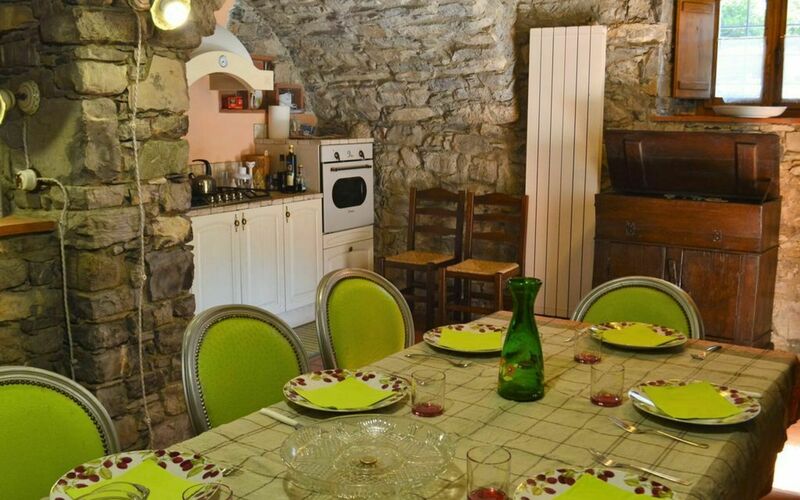 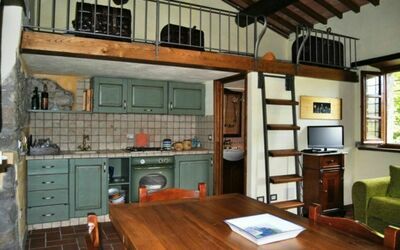 These two cottage apartments which are built into the old aquaduct carrying water to the mill are cute options for couples /small families, both with privacy and their own large alfresco dining space too. 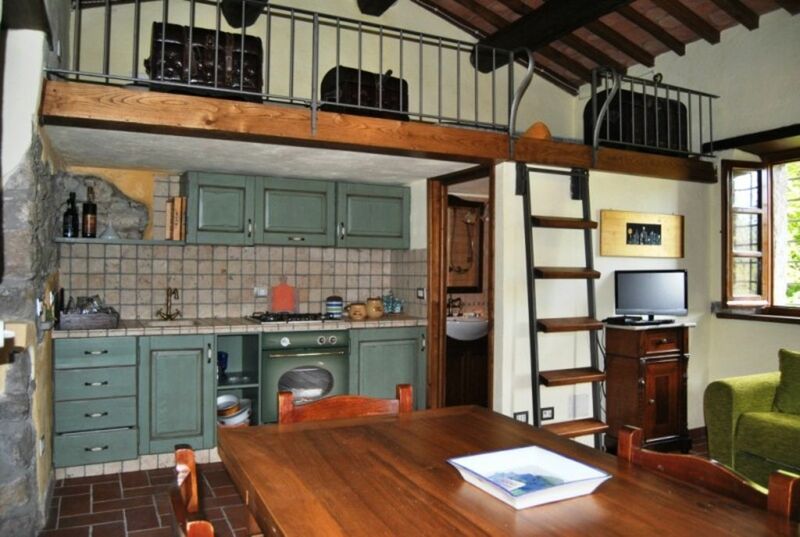 Bambini is a one bedroom, 1 shower room property with living/kitchen/diner, and large terrace with amazing views. 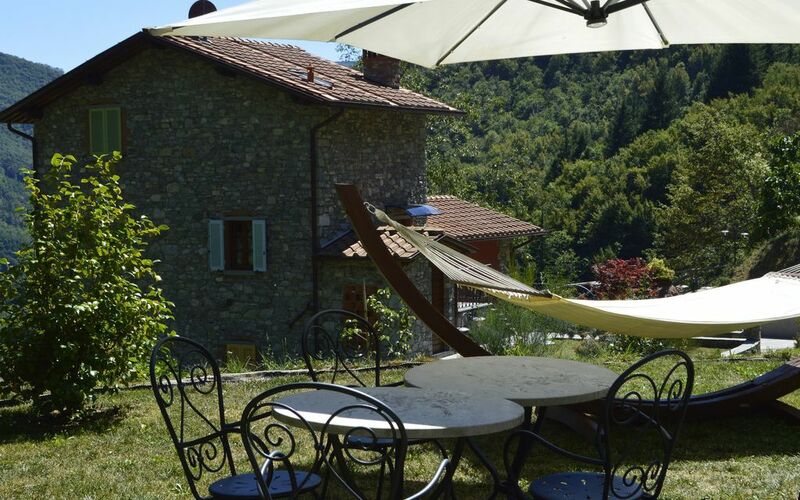 Complete with outdoor dining furniture, and a pergola for shaded relaxing. 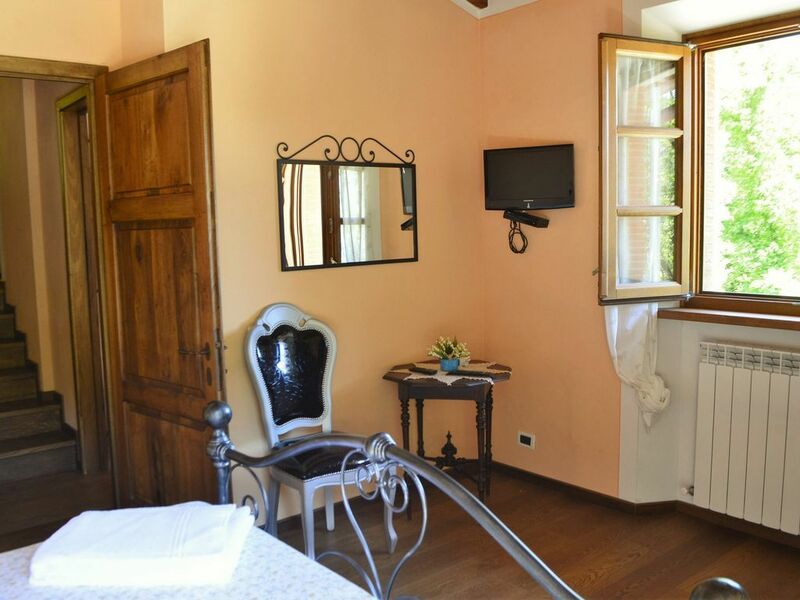 Piccolo Mulino is a studio type apartment with an open plan living/kitchen/diner which has a good quality large double sofa bed. There is a ladder style staircase leading to a mezzanine area with 2 single beds too. 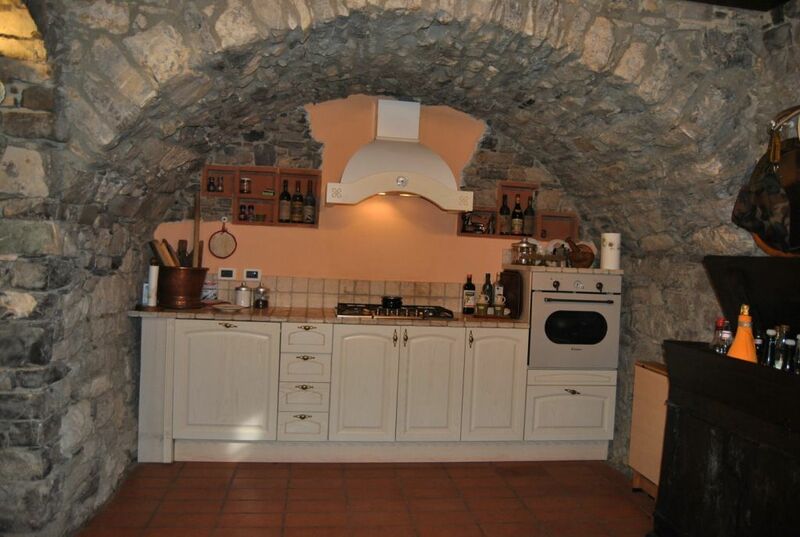 The old stone aqueduct, which once brought water to the mill to drive the millstones below, runs behind the apartment. 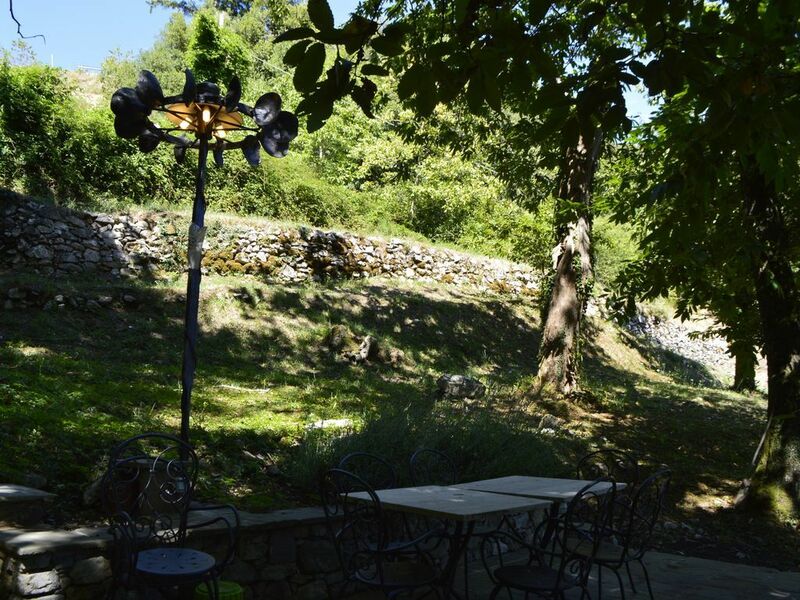 The millstones of the old mill still work today and are used to obtain fine chestnut flour and corn flour; you can see the chestnuts being ground, as they were in days gone by. 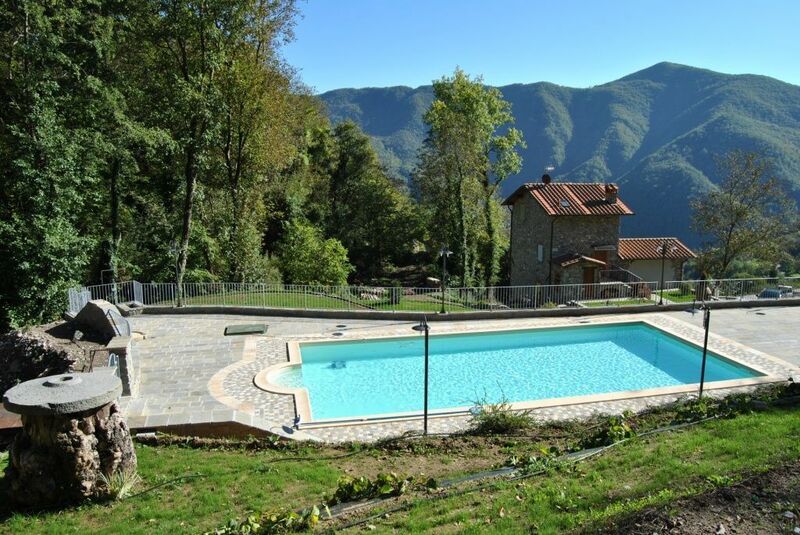 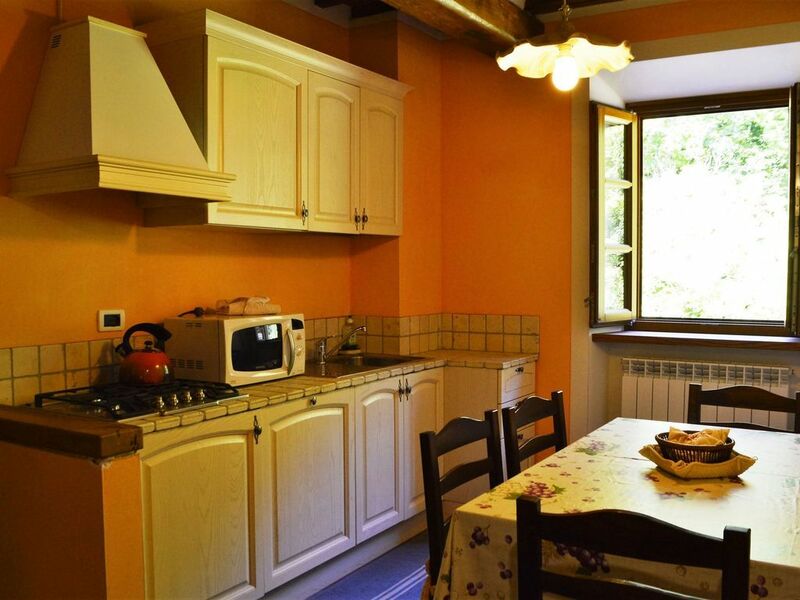 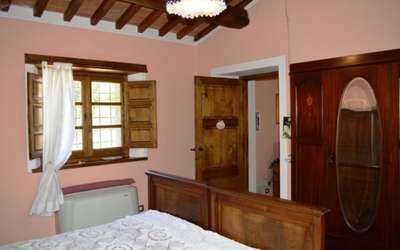 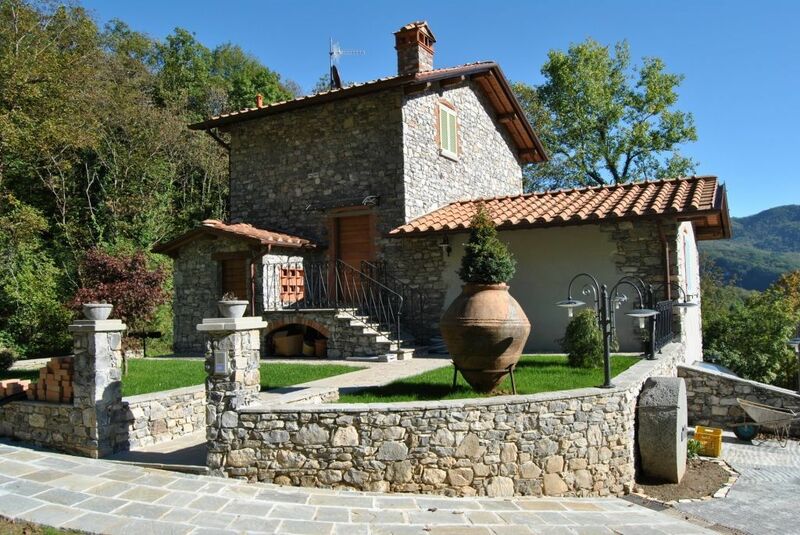 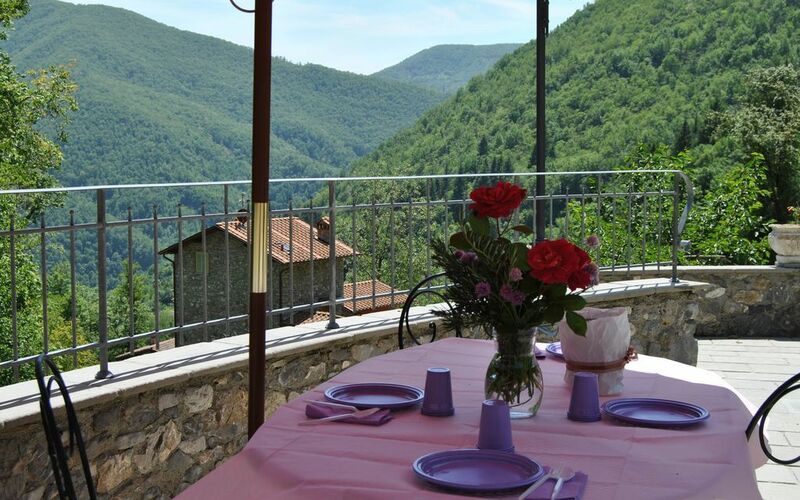 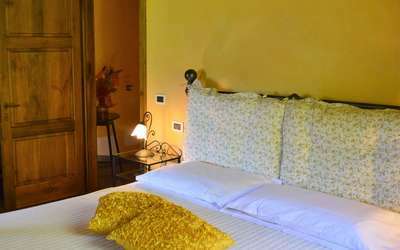 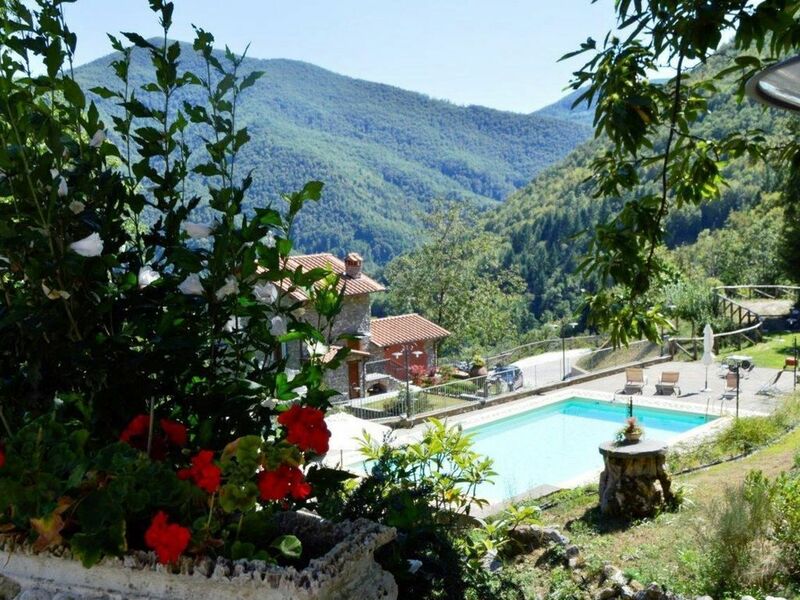 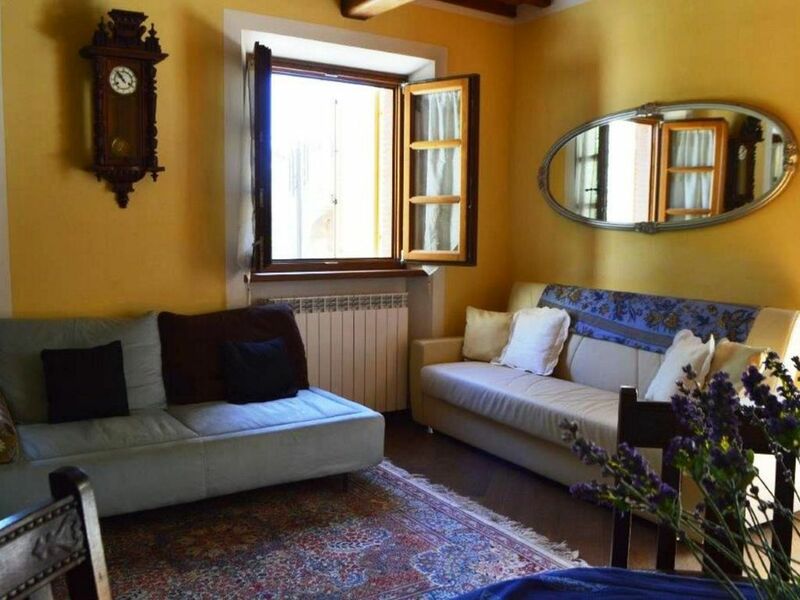 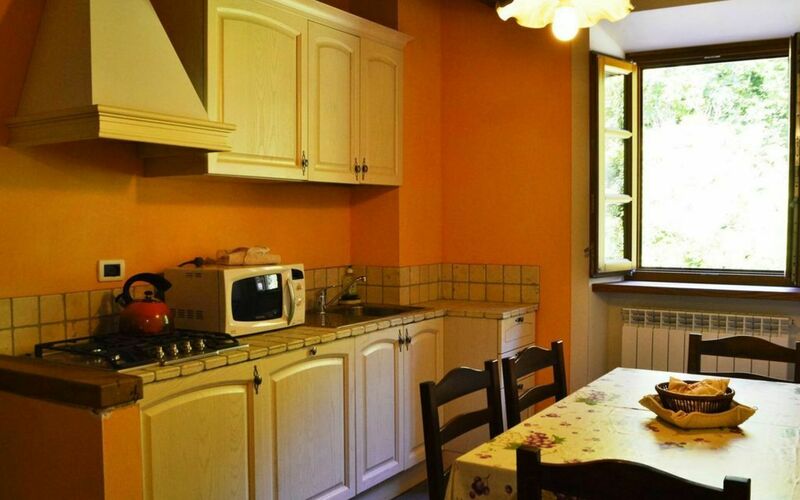 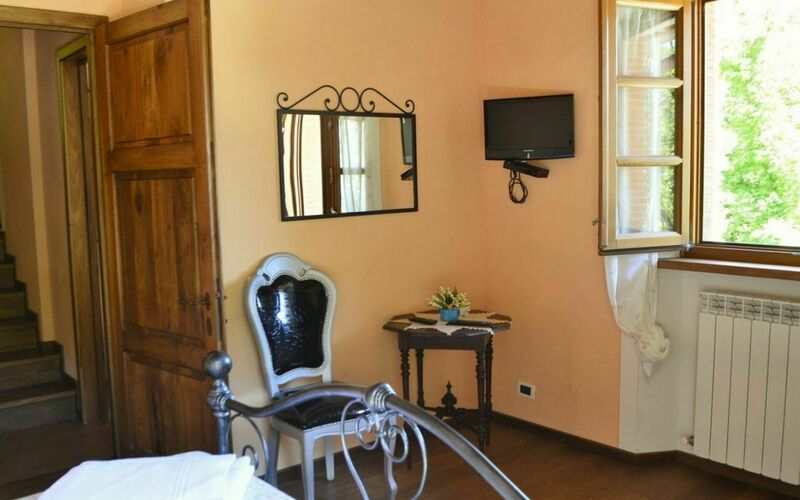 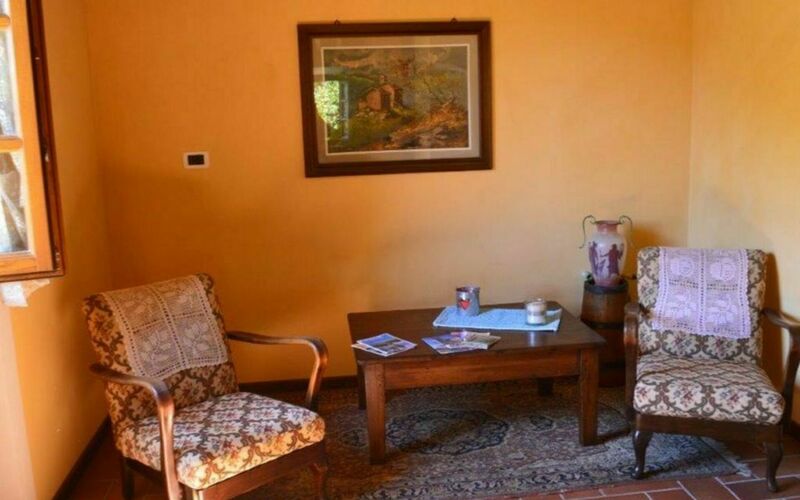 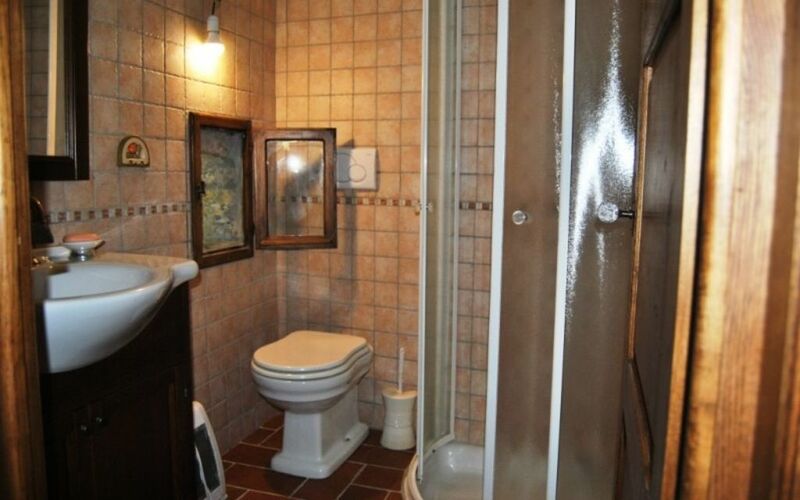 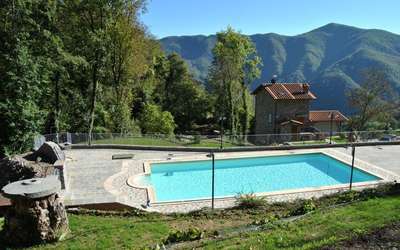 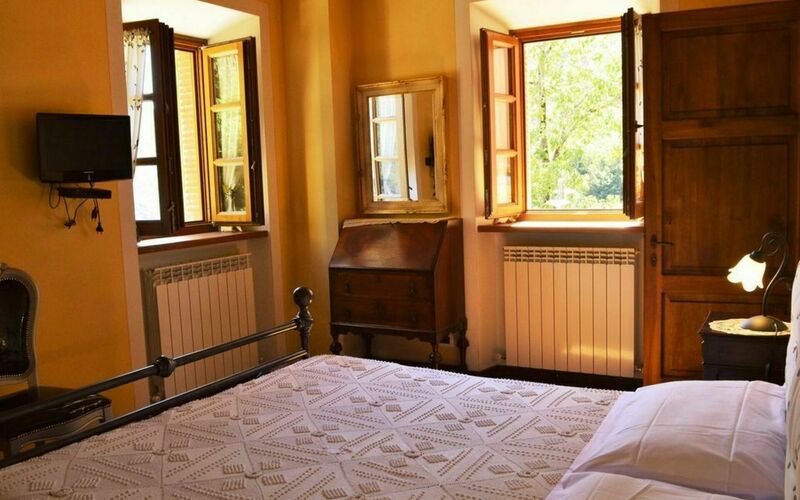 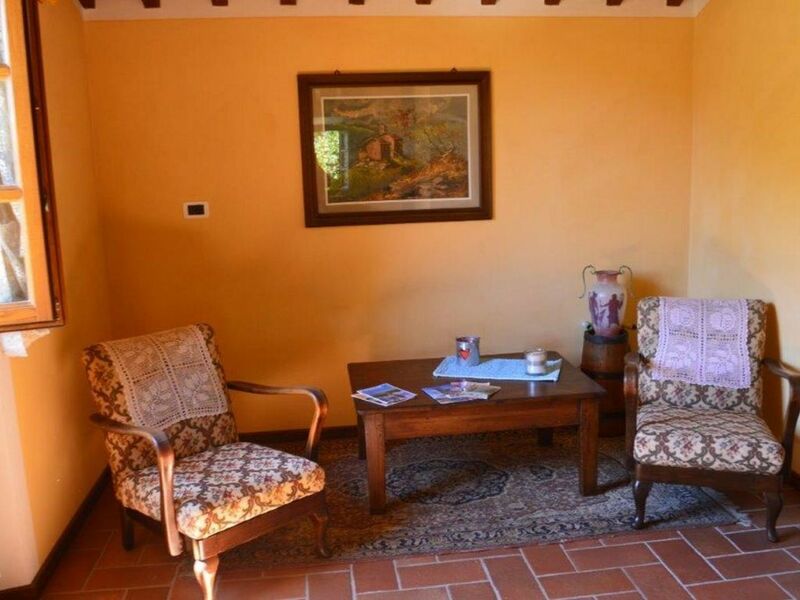 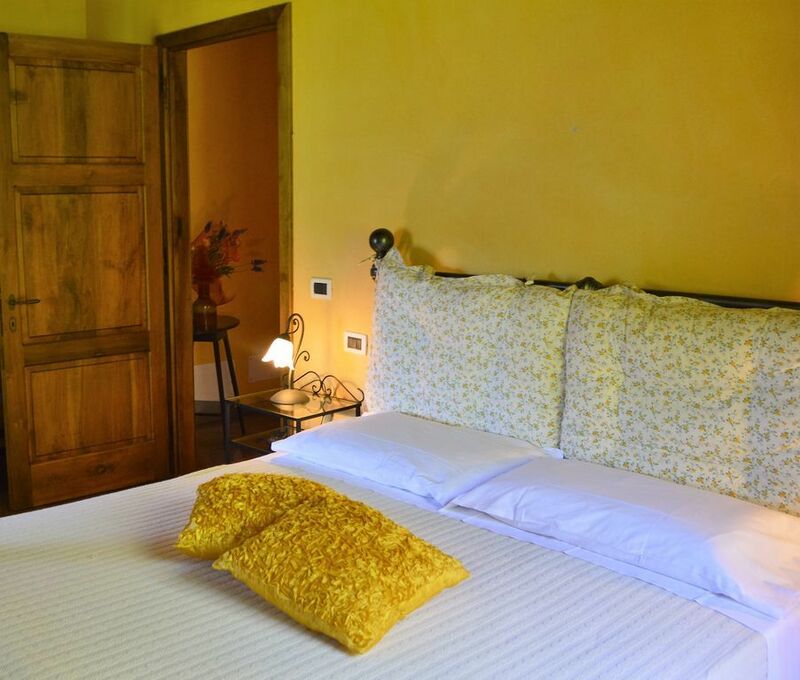 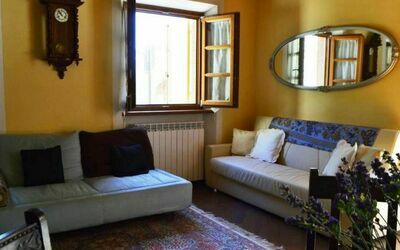 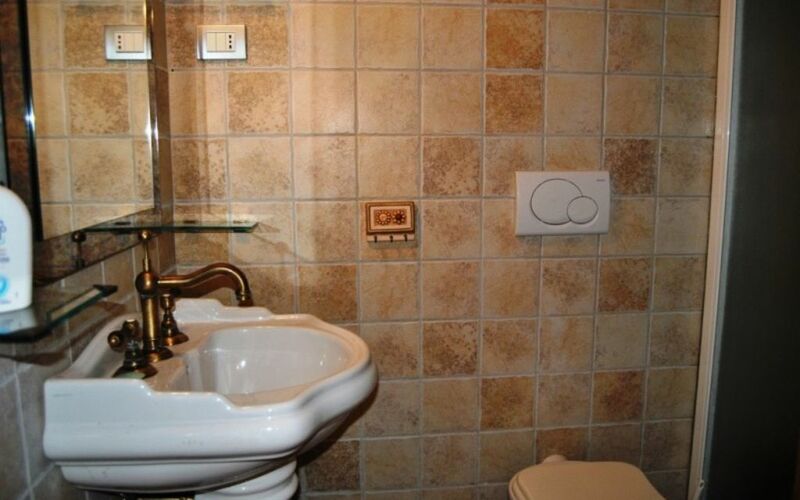 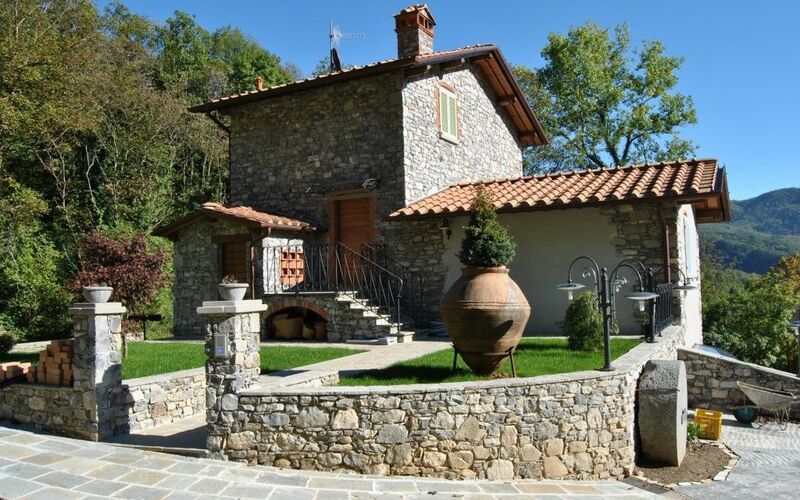 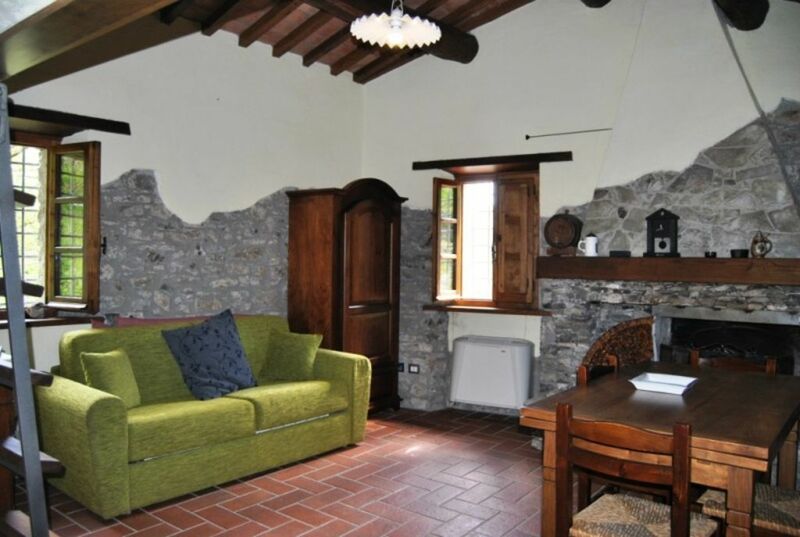 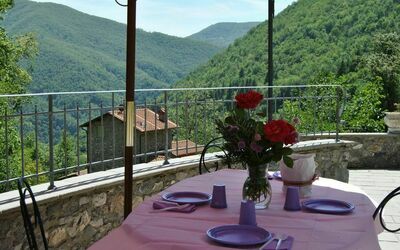 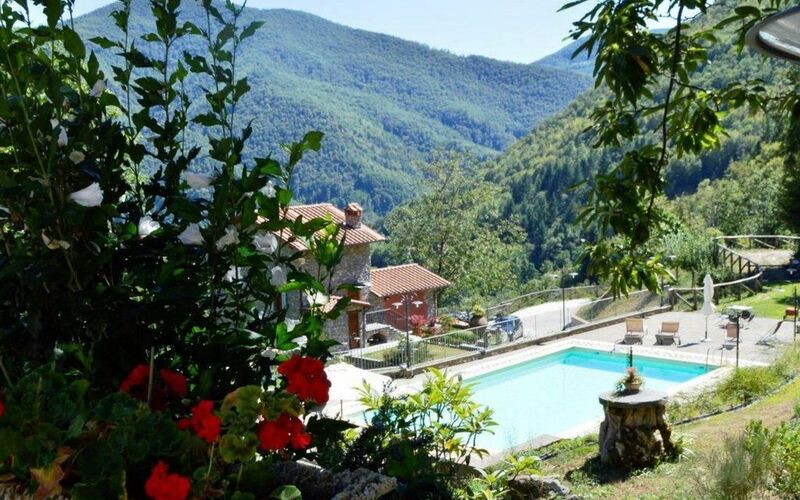 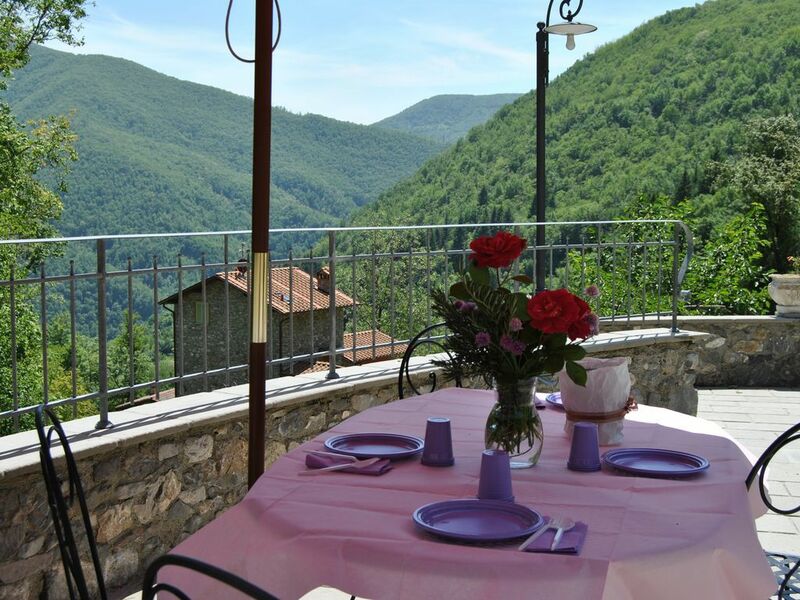 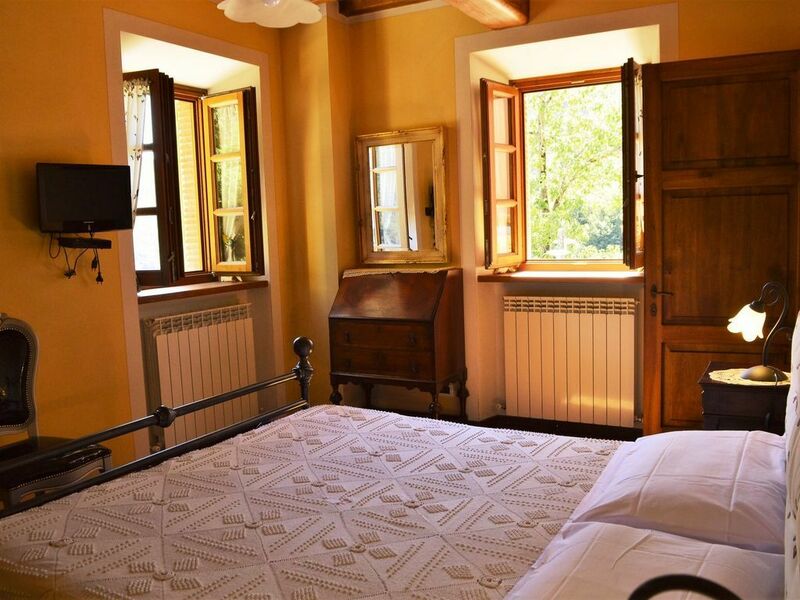 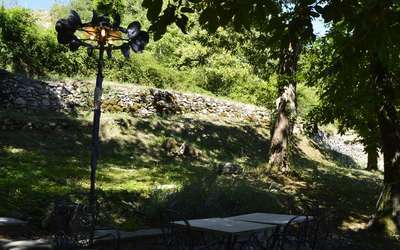 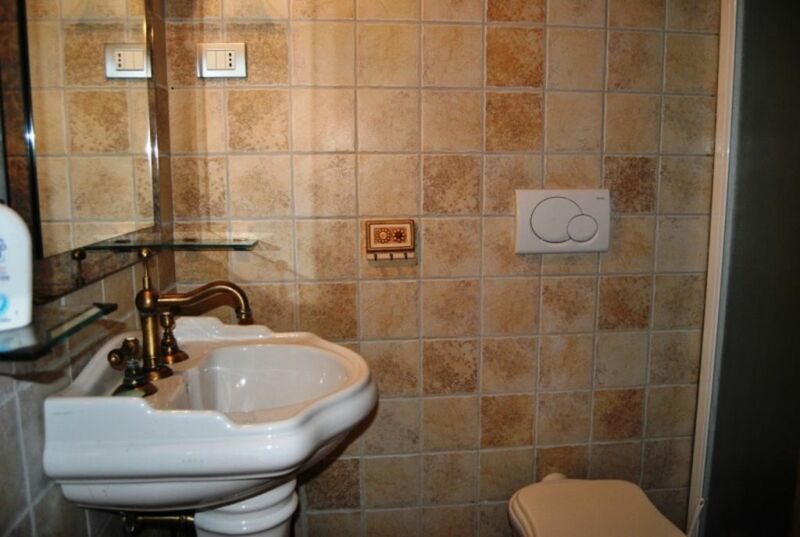 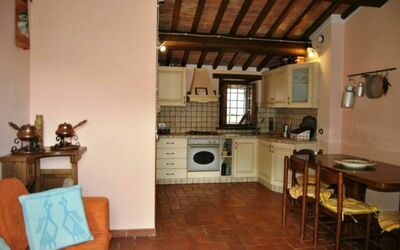 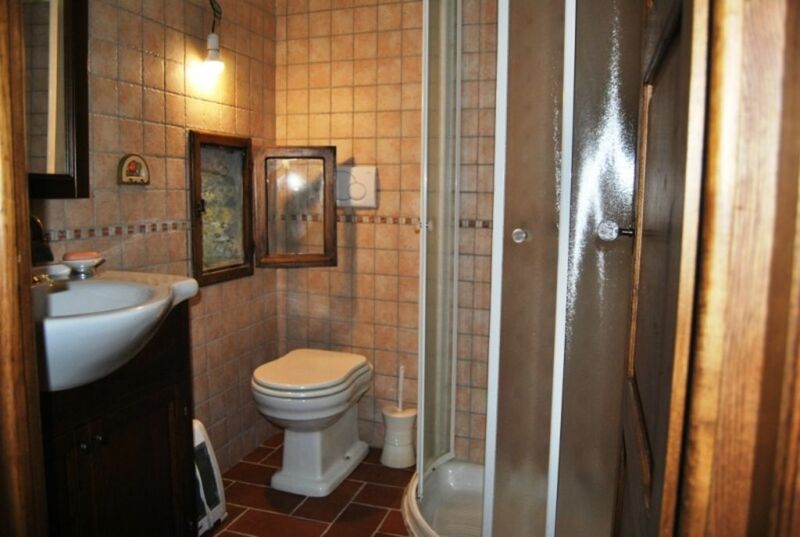 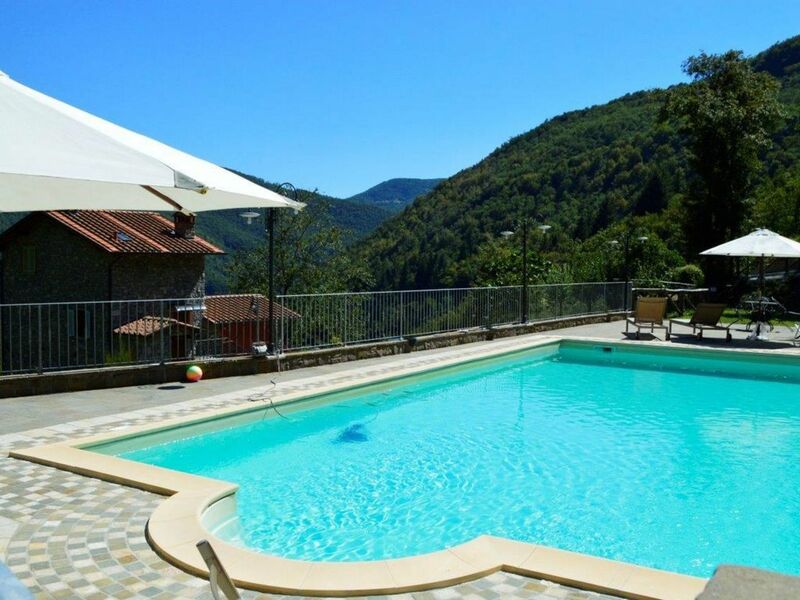 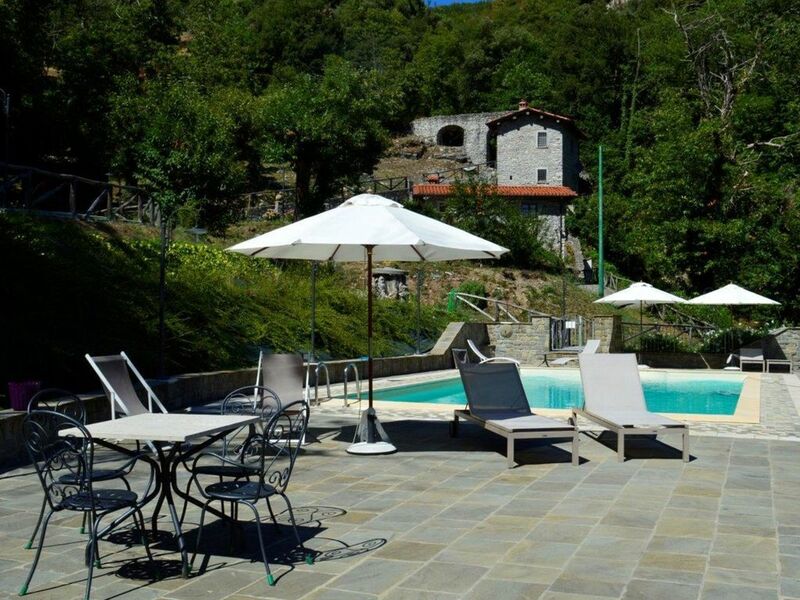 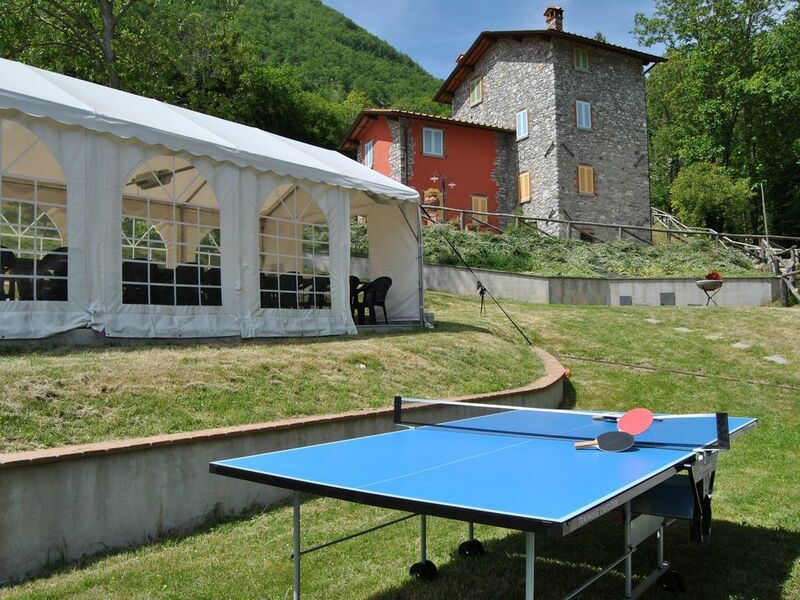 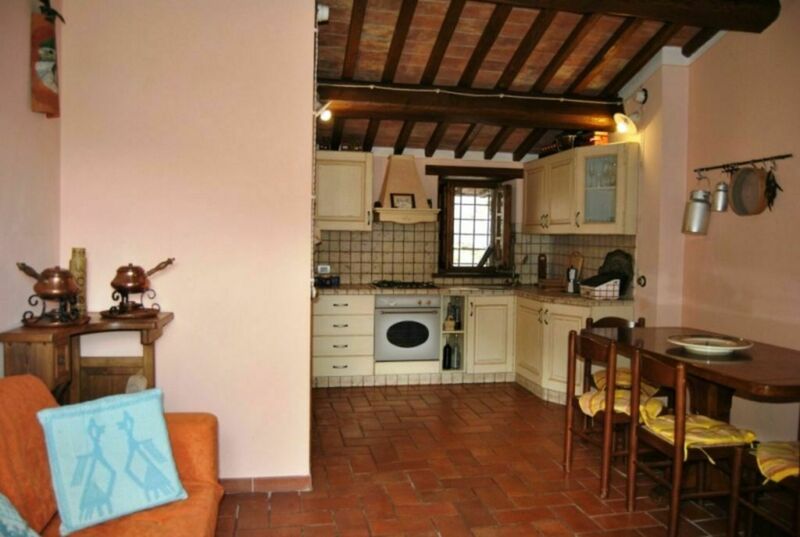 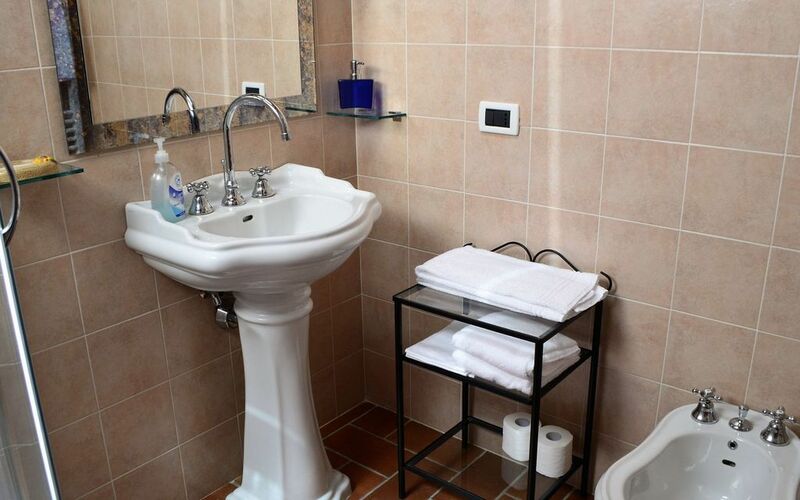 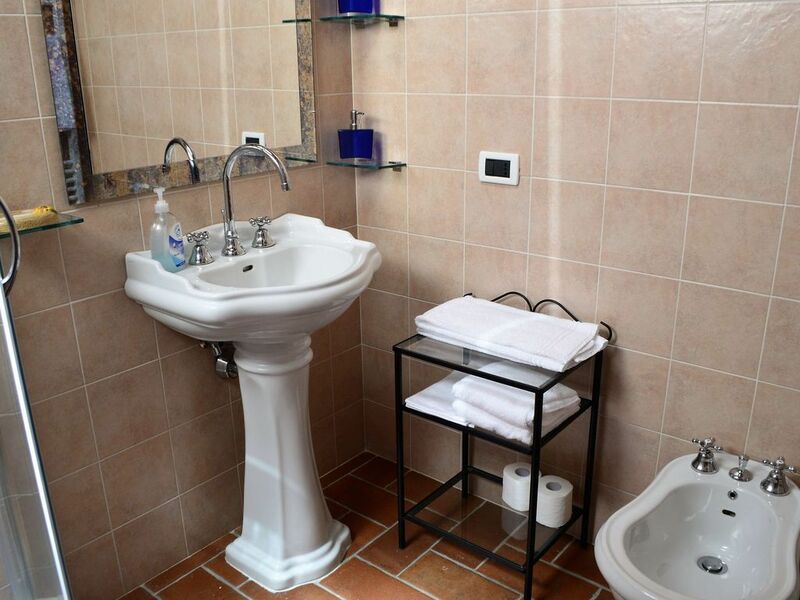 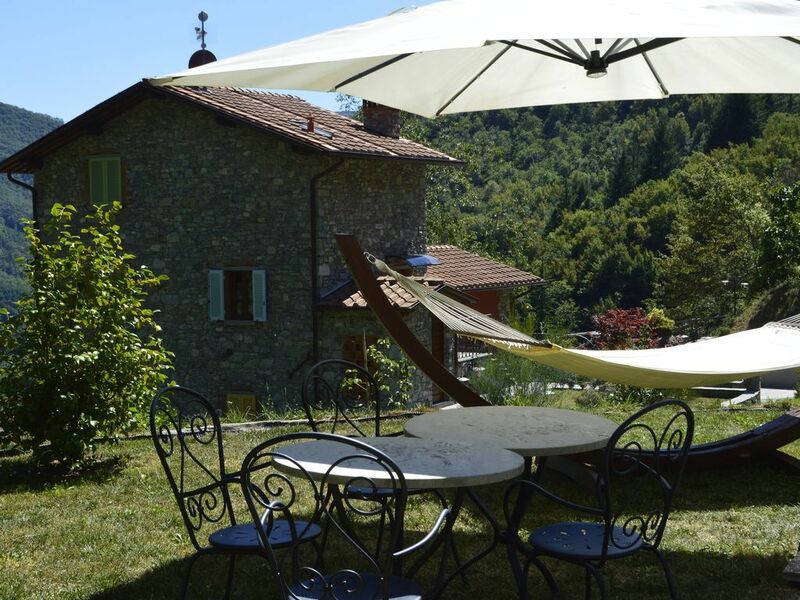 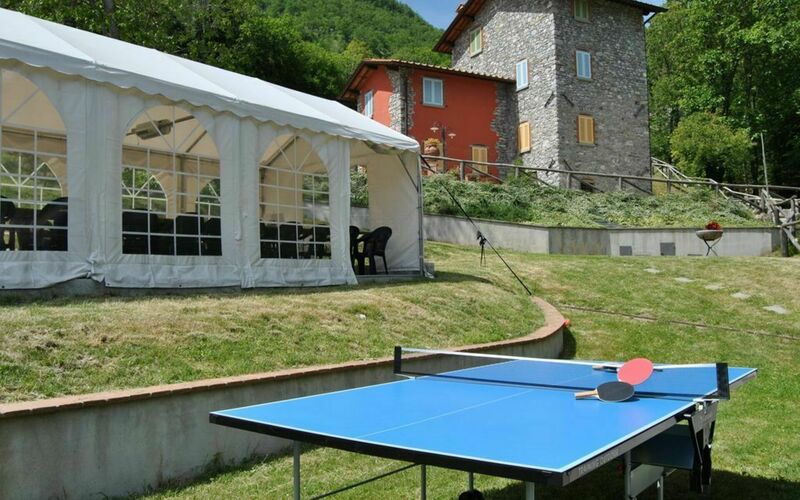 Guests who stay in this apartment can also enjoy an external area at the edge of the chestnut woods, where the cool water of the nearby Fonticchi stream flows. 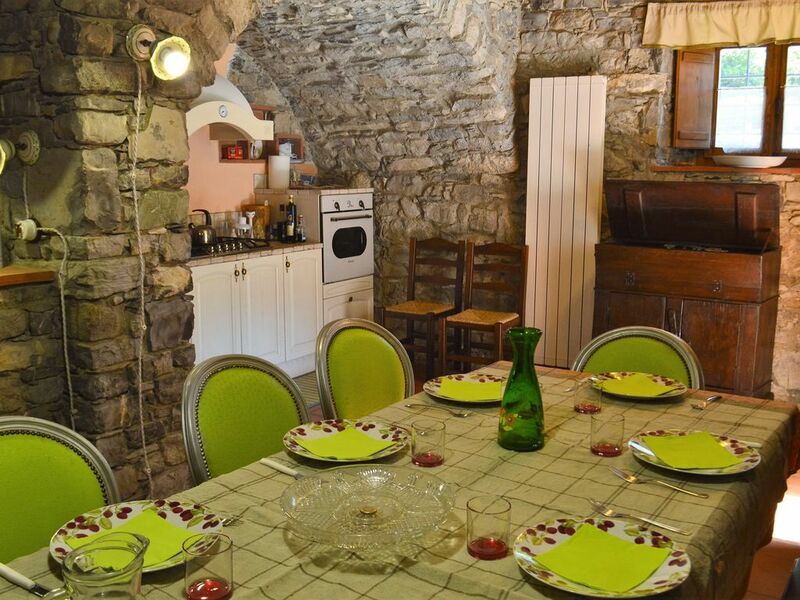 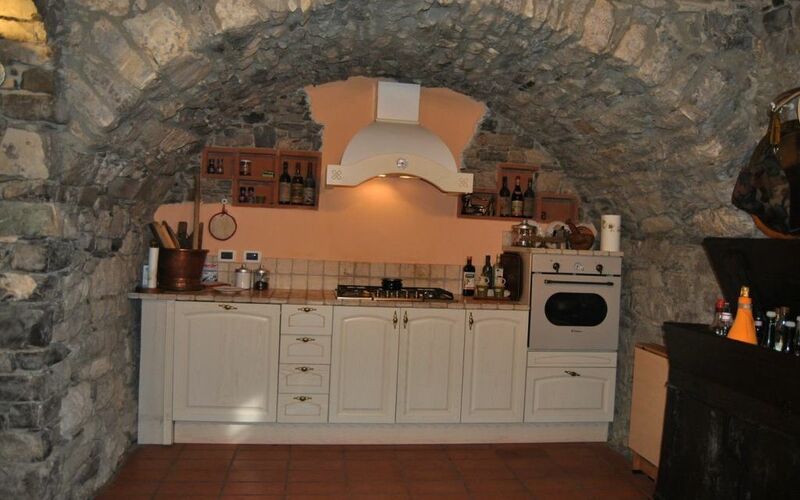 All 3 character properties, apart from sharing such a unique setting, have been restored with a great deal of love and care, boasting beamed ceilings, stone flooring, chestnut windows and so forth. 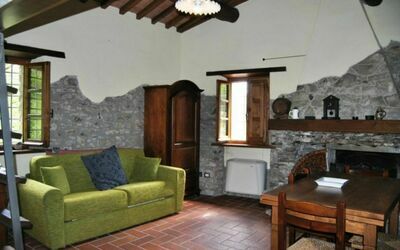 This really is a unique opportunity to stay on a site where one feels as though time has stood still. Pure relaxation and peace! 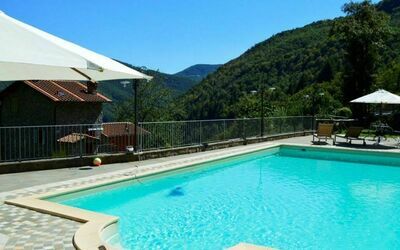 The gardens also boasts a large private gated pool, and a sunbathing area equipped with quality sunbeds.